An initiative, backed by the World Economic Forum, entitled Global Shapers Community, is a network of 7,000 participants in 156 countries, comprising 376 city hubs, primarily for younger citizens between the ages of 20 and 30, who are exceptional in their potential and drive to make a difference in their communities. Hubs sync between remote and ongoing events to discuss global challenges with a targeted approach to local needs. Just recently, 60 Shapers from different hubs first time have led a panel at the WTO Public Forum 2018. One of the hubs is located in Kharkiv. At that moment, it is expanding and launching new projects. Among them are MoreInfo project, catalyzing urban mobility and local tourism, scaling in Ukraine and other countries, VR Marathon, promoting modernization of product variations via innovative media-technologies, initiative for developing entrepreneurial spirit of youth, ecological initiatives and human rights initiatives, equality and accessibility, supporting and creating cultural bridges for artists between cities. Been part of a WEF community is a strong advantage. Each year, a variety of offline events within the World Economic Forum framework is taking place. Accordingly, we can better understand global challenges and communicate with them locally, having access to Young Global Leaders and WEF Community, better prepare the local business for international business, public policy, media and cultural activities in scale and compete globally. In particular, we offer to create shared value together with local stakeholders, delivering unique strategic insights and interest to grow our capacity as an expertise center of the 4th Industrial Revolution, having access to transformation maps analytical datasets of World Economic Forum. We can use state of the art knowledge and interaction tools, which could access and aid the development of protocols for the governance from WEF for local organizations. We could carry out public diplomacy [JB emphasis], inviting other Shapers to Ukraine, promoting regional by way of visits and experience that we organize for other Shapers. We try to think positively. However, we are occasionally faced with failures, relating to a weakness of local understanding of global context. One of them was our idea to invite Shapers all over the world to Kharkiv for an international forum to celebrate the 90th anniversary of the first skyscraper complex in Europe, Derzhprom, to promote the region. Unfortunately, we were not supported by the city administration and officials and such a potentially prominent event was lost. Hopefully, this sort of mistake is not going to be commonplace. In the latest plans, the hub is going to organize series of live stream activities of World Economic Forum events, crowd-design and conduct policy research on city readiness to undergo the 4th Industrial Revolution, grow Shapers projects and search for new members. At this stage of hub development, we are interested in collaboration with international organizations and the local community to accelerate hub projects and help clusters, associations and regional representatives, ensuring both get more visibility in a network of Global Shapers and on the scene of the World Economic Forum. We need more insights about the impact of the 4th Industrial Revolution to all of us, and Kharkiv Hub could be a mediator for this. We invite all stakeholders to discuss future opportunities and possibilities with us. 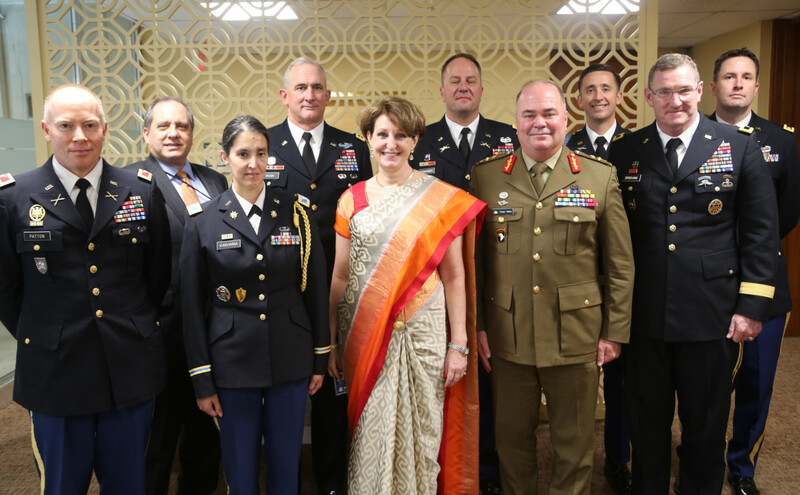 New Delhi: Her colleagues at the United States Embassy in New Delhi can corroborate that MaryKay Carlson, the US Deputy Chief of Mission, wears saris as often as she wears Western outfits. 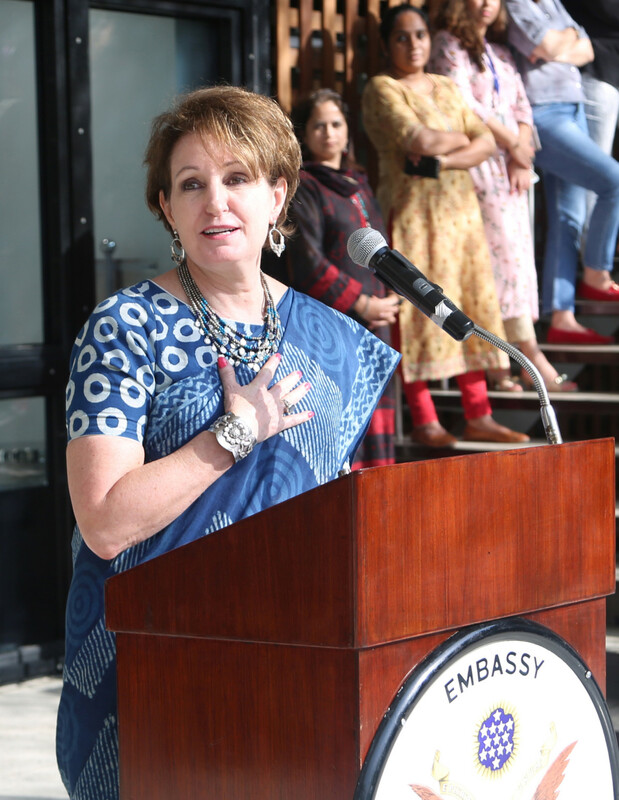 Ahead of India’s Independence Day this year (August 15), the US Embassy released a video in which Carslon, while greeting everyone, talked about her love for saris. “The sari represents the vast culture, colour and diversity of this great country,” she says. Considered one of the public diplomacy [JB emphasis] initiatives by the US envoy, who is also active on Twitter, the video created quite a buzz online. 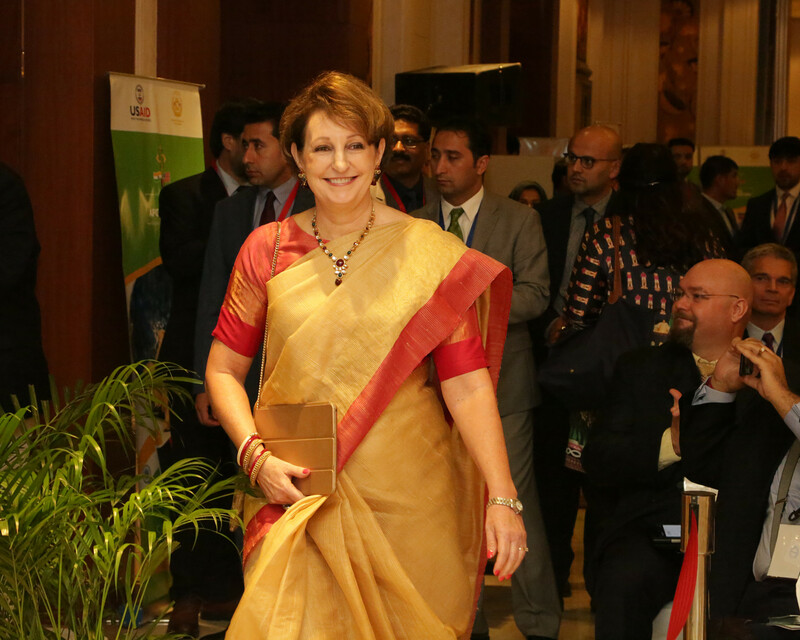 Last year, while serving as chargé d’affaires, she started an online campaign #SareeSearch and urged people to help her choose the perfect sari to wear for the August 15 celebrations. People from across India voted for the saris. Of the four choices — Kanjeevaram, tussar, jamdani and dupion, each type of sari a reflection of the region it comes from — she wore the red kanjeevaram (the most popular among voters online), when along with her diplomat-husband, she attended the flag-hoisting ceremony at Red Fort. The second most popular choice among voters was the tussar, which she wore for the President’s At Home event at Rashtrapati Bhavan, the presidential residence. Photo 4 I think this is called “tissue silk.” From a pop-up mela in Delhi. I bought the embroidered blouse at Roshan Tailor (I assume it is from Rajastan, due to the mirror work). The Kanjeevaram sari is a famous weave and heritage from the southern Indian state of Tamil Nadu, which has been weaving these silk saris in splendorous shades and colours for centuries. The tussar is also a silk sari woven in the states of Bihar, Madhya Pradesh, Orissa, Jharkand and West Bengal, to name some. On what attracted her to saris, she recalls, “Since arriving in the country over two years ago, and even before then, I admired the beautiful saris Indian women wore. As I learnt more about India’s rich textile heritage, I became more enchanted by the intricate designs, rich colours and interesting weaves and textures. But I was intimidated to try to wear one myself. 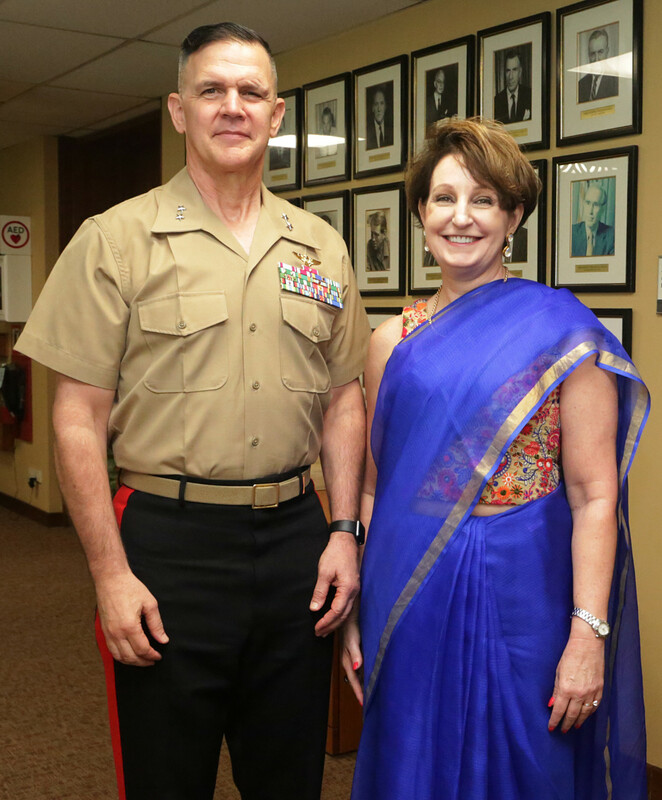 Although many Indian women find it difficult to drape and wear the sari to work, Carlson is adept at it. The draping of the sari has many approaches in India and many regions have their own variation of it. Modern fashion has brought in some innovative ways that offer a fusion of the old and new draping styles. But for Carlson, the traditional drape that has the exquisitely devised front pleats, like a fluid accordion in motion, is the way to go. “I especially like the Bengali style of wearing a sari (that has the pallu coming in over the shoulders from the back and creating a motif-like impact on the front) and also some modern methods of draping. But I am apprehensive that if I tried something too modern or different, I might just look like a woman who didn’t know how to drape her sari properly,” she said. Starting out with four saris, Carlson has turned into a connoisseur with her collection having grown to 20. For people who often deliberate on what to gift Indian women, the US emissary has a word of advice: “Indian textiles of all types, especially saris, are definitely treasured gifts. They will always carry for me wonderful memories of the people, places, events and experiences connected with each one of them,” she says. It’s no surprise that Army officers tend to be ‘can-do’ type people who don’t shy away from things that need to be done; however, knowing when to get advice from a subject matter expert is the key to success in many ventures. Unfortunately, when it comes to engaging with the media, too many leaders assume that their abilities will enable them to shine because, well, they are great, successful, smart people. Media interviews are deceptively easy-looking, and if you do not put in the same thought and preparation into your media engagement as you do other missions, whether the media outlet is positive, neutral, or negative in nature, can leave you with less than desirable results. Here are some pitfalls that we Public Affairs professionals often see, and some advice on how you should approach any interview. Conducting an interview is not rocket science, which leads many people to believe that they are instantly good at it. After all, how many of us have conducted battalion or brigade meetings or briefed senior leaders on complex subjects? Media is different, and you don’t have as much latitude in your language as you may think you do. An offhanded comment or opinion you share may seem harmless, but it could end up being the focus of the article when it’s written, which is likely not the message you were there to communicate. Be brutally honest with yourself about how many interviews you have conducted and ensure that you have others critique your performances. Your PAO, who should be working with you on any interview, has seen far more than you probably have on how interviews have been a success or failure. Every once in a while, there is a leader that is so confident and comfortable with the media that they make it look effortless. They are unicorns – do not assume you are one of them. Most general officers, and especially the ones who do interviews well, do a lot of preparation ahead of their interview. This may be as simple as reviewing talking points or as involved as running mock interviews several times before an engagement, and is something recommended for even the most skilled individuals accustom to conducting interviews frequently. Not every interview is alike, and some require different skills than others. How long will the interview be? Will it be a live video shoot, a voice recording, or a reporter taking notes? How long will it be? Can you get questions ahead of time (always nice if it’s possible, but be prepared that many outlets will only share a focus for the discussion)? Who is the reporter? What have they done on the subject before? What is important for you to communicate based on the needs of your organization (this is an important question for a negative interview)? This is by no means a comprehensive list, and every situation is different, but understanding the situation will be key to having a better interview experience. These are the questions you should be asking your Public Affairs Officer (PAO). If they don’t know the answers to these questions when they prepare you, send them back to do their job. Ask yourself, would you conduct a military operation without a plan? If the answer is no, and it had better be, ask yourself why you would go into any interview without doing the same due diligence? Like every operation, each interview requires a different level of preparation. The first thing you should do is ask what you want to achieve with this interview. If you can’t answer that, you may want to reconsider the engagement. Treat the media interview similarly to a job interview. You should have a main idea. Take that main idea, your key message, and have three supporting points behind it. You need to look at these and ask yourself if the audience will care about it. Remember, your audience is not you, and may have different priorities and understanding of the subject being discussed. This goes for both positive and negative interviews. If you are calling attention to work that one of your Soldiers is doing in the community, you will probably want to try to show how the Army helps instill the values that encourage such actions in its Soldiers. If you are discussing something negative, the same preparation is required. If a Soldier is arrested, you want to ensure that there is distance put between that person’s actions and the organization as a whole, and that any investigation is being handled seriously. In these negative situations, media is most interested in understanding what happened and what’s being done to prevent a negative situation from happening again in the future. If you’re able to address this, without compromising the investigation process, and emphasize your organization’s core values, this goes a long way towards putting an issue to bed. Still think you shouldn’t have a plan? Your last question in nearly every interview will be “is there anything you would like to add?” The answer to that question is YES! Even if you think you have nailed the interview, this is the time to go back to that plan and hammer home your main idea again. This should be a softball question that has a canned answer, carefully and effectively delivered. While there is no hard and fast rule as to how long an answer should be, the target is 8 to 10 seconds – that’s not a lot of time. You will want to deliver the answer, pause momentarily, and then provide a supporting story or vignette for the message you just delivered. Especially in taped interviews, much of what you say will be edited out. The reporter is looking for a sound bite that encapsulates the issue, so be sure to have it available. This is the one you practice in the mirror. You get the drift. Your key message is what you need to deliver after that phrase. Remember, you are probably not one of those unicorns, which means you need to work at this. The senior leaders I have worked with that were most successful with the media were the ones who took the practice seriously. They knew their strengths and shortcomings, and made up for them by being prepared with key facts, key statements that they planned to interject, or a good review of the background information that guided what they said. Their outcomes were consistently better than the officers who didn’t prepare or brushed the practice aside as an unnecessary waste of time. Whether we are preparing for convoy defense or full-scale brigade operations, we practice. The best teams we have practice their craft religiously. The more time you invest for your interviews, the better the results. The point is not to spend all of your time preparing for every engagement to the detriment of other tasks, but that you maximize the results for your current engagement and put in the requisite time to become better at interviews in general. A challenging or controversial interview will undoubtedly take more time to prepare for than a positive one. Not every interview will be a high-stakes opportunity to move the needle on civil-military relations; all interviews have a range of potential results, but all should be seen as important. The worst thing that can probably happen with a positive subject (i.e. deployed unit returning home) is that there is no impact. This, unfortunately, is the most common result when the work beforehand is not done. Conversely, the best thing that may happen from a negative subject (i.e. a Soldier who commits a crime that ends up on the news), is that the damage to the organization is limited. Understand the range of possibilities and aim for the best you can do. Your preparation, planning, and practice should feed that best narrative. Your PAO should be skilled in media interviews and interviewing techniques, and will be eager to assist you in working through these steps, preparing you for the engagement, monitoring your interview, and providing feedback on your performance. What they also have is a network of other PAOs that they can rely on when the stakes are high and additional assistance is beneficial for you and the organization. Be sure to pause a bit before each answer. It will give you a chance to organize your thoughts so that you can deliver a more effective answer. In addition, it will slow you down just a bit and make you seem less nervous. Pausing also helps you slow down if you talk fast like I do. So… do your homework, prepare, and use the assets and people at your disposal. Success in interviews as a senior leader begets more opportunities for interviews and increases the influence you can have, both internally and in educating the American public about your organization. Good luck! Col. Matthew Lawrence is a Public Affairs Officer assigned to the Strategic Studies Institute at the U.S. Army War College in Carlisle, Pennsylvania. The opinions expressed in this article are his alone and do not reflect the official opinions or policies of the U.S. Army or Department of Defense. [Lauer] served seven years on the board of the Council for the Advancement and Support of Education (CASE), when it became truly international with offices in Washington, London, Singapore, and now Mexico. He considers his longtime international work in higher education and public broadcasting to be people-to-people communication, or “public diplomacy,” [JB emphasis] a topic he has been interested in since his graduate work at American University. Foreign policy understanding requires government officials to speak from the same page. The larger the government, the more complicated this becomes. Diplomacy is defined as nation-to-nation communication and is conducted by departments of state through embassies. Public diplomacy [JB emphasis] is defined as people-to-people and government-to-people communication and is conducted by departments of state, nongovernmental organizations (NGOs), various associations, educational institutions, and citizen travelers. Digital technology and new media could enhance global understanding. But so far they have mostly magnified differences. Anger around the world seems to be increasing. Question One: Can the current rapid expansion of international education, cross-cultural people exchanges, and overall foreign travel, eventually produce a more peaceful world? Question Two: Is there a leader somewhere out there capable of bringing the heads of influential nations together under one common cause… freedom and justice? Question Three: Maybe the next American president? BEIJING — The American ambassador to China, Terry Branstad, wanted to make what in most nations would have been a routine trip. One of his favorite schools, Iowa State University, had opened a center to promote American culture in an inland Chinese province, and the laid-back former governor of Iowa was eager to take questions from Chinese students. The center’s program, largely financed by the State Department, was deliberately benign so as not to offend Chinese government sensibilities. Politics was off the agenda. English lessons focused on fashion, music and sports. An essay-writing contest was called “Bald Eagle & Panda” after well-known fauna in both countries. But Henan Normal University, a campus set on the Yellow River with a prominent statue of Mao Zedong out front, denied Mr. Branstad permission to visit the center this fall — and offered no explanation. The rebuff underscored how the United States and China compete not only in trade and technology, but also over the values and beliefs that define their societies, an echo of the Cold War with the Soviet Union. In China, such programs provided a window into American culture outside the filter of the Communist Party, and their unwinding could deepen the divide between the societies of the world’s two largest economies. The center that turned down Branstad was one of more than 20 that the State Department opened in the past decade on college campuses across China to promote American culture and counter anti-American propaganda by offering English lessons, screening movies and hosting visiting music and dance performances. Today, the American centers have closed after the Chinese authorities denied American officials entry to them and state security agents interrogated an American academic working on a Chinese campus. “It became clear after a while that the centers were no longer an asset to the Americans and became a terrible liability,” said Jennifer Tarlin of the University of North Dakota, who served as director of an American center at a Shanghai university from 2011 until this summer. The program’s launch coincided with a rise in nationalist sentiment in China. Shortly after he came into power six years ago, President Xi Jinping rolled out a campaign against Western values, investing Communist Party members in academia with the power to redline even the most innocuous and apolitical expressions of American culture. And funding American culture in China became particularly unpopular in Washington as the Trump administration worked to distance the countries and anger built over Beijing’s propaganda in America. China’s Ministry of Foreign Affairs did not respond to a request for comment. When the American centers opened a decade ago, they bucked a trend. 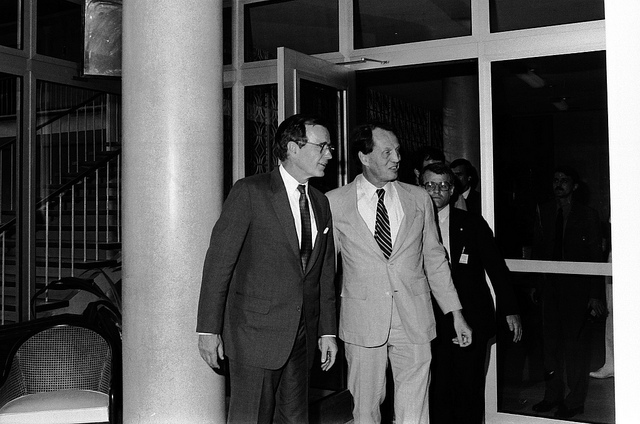 Promoting American culture abroad, once a high point of American foreign policy, was considered obsolete, an idea that was dispensed with at the end of the Cold War. In the early 1990s, conservative Republicans and Clinton Democrats worked together to demolish the United States Information Agency and slash the budgets of culture programs abroad. Democracy had prevailed, the thinking went, and the internet rendered cultural diplomacy unnecessary. But China was a special case. The American government was concerned about negative depictions of the United States in China’s tightly controlled state media. On American campuses, the Chinese government was subsidizing a network of Confucius Institutes, where Beijing appoints teachers and dictates the curriculum. It grew from around 70 outposts during the Obama administration to more than 100 today. In 2011, only five roughly equivalent American places existed in China — at American embassies or consulates, sites that are closely watched by Chinese security and forbidding for local residents to enter. The Obama administration felt compelled to act. By 2012, the State Department had made individual grants of $100,000 to more than two dozen American universities to open centers on Chinese campuses. To distance itself, it urged the centers to seek extra funds from private American sources and stayed away from decisions about programming. William Brustein, then-vice provost for international affairs at Ohio State University, recalled meeting the American ambassador, Jon M. Huntsman Jr., in Beijing in 2011. The ambassador told Mr. Brustein about the State Department’s new venture. Ohio State prided itself on its already large number of fee-paying Chinese students, and the university thought the center would attract more. Many students came from Hubei Province, so it was easy for Mr. Brustein to persuade Wuhan University, a major university there, to agree to host a place that would showcase American themes. The center opened in 2012 in a loft-like space with a kitchen and English-language cookbooks, and was led by an English teacher at Ohio State, Bob Eckhart, who brought jazz groups and dance ensembles over for performances. Other centers opened at campuses across China. Often the programming was quirky. At the University of Shanghai for Science and Technology, Ms. Tarlin invited American musicians who played Depression-era folk. She staged a workshop production of the opera “Scarlet Letter” with a libretto by the feminist writer Carol Gilligan. It wasn’t long before the centers ran afoul of the orthodoxy of President Xi and his campaign against liberal democracy. Strict edicts announced by the education minister, Yuan Guiren, in early 2015 signaled the official disfavor. Books highlighting Western values had no place in the classroom; Chinese universities must ensure that Mr. Xi’s ideology was front and center, Mr. Yuan said. Suddenly, university officials barred American cultural groups and speakers. The Chinese honed in on the ties with the State Department, suspicious that the United States was using the centers as a cover for spreading democratic ideas, former and current diplomats said. In Nanjing, Chinese state security officials summoned a dean of the New York Institute of Technology, Monique Taylor, for questioning for several hours in 2015. Ms. Taylor was responsible for the American center sponsored by the institute at the Nanjing University of Posts and Telecommunications; she was also in charge of a separate academic program with faculty from New York City on the Nanjing campus. The interrogation rattled the American university, according to three people familiar with the episode. A spokeswoman for the university declined to comment. After the episode, the university declined a new State Department grant and deleted the word American from the center’s name. It was renamed Campus Commons. A State Department inspector general’s appraisal of the embassy in Beijing in 2017 described how the Chinese government called American public affairs diplomats “hostile foreign forces.” The report said that from January 2016 to April 2017, there were 153 instances of Chinese thwarting the work of the American public affairs officials, including with the centers. In the 2000s, as the Confucius Institutes flourished in the United States, those who wanted to promote American soft power eventually prevailed with the opening of the centers in China. But American diplomats responsible for culture could never get the centers to take off: In Washington, the economic relationship was considered far more important, former diplomats said. As secretary of state, John Kerry took up the cause of the centers with Liu Yandong, who was a vice premier until this year and China’s top culture czar. The Chinese dismissed Mr. Kerry’s complaints, said Richard Stengel, who was under secretary of state for public diplomacy [JB emphasis] and public affairs at the time. The State Department said it had stopped funding all of the centers. Mr. Branstad was not the first American envoy to run into trouble over one of them. Mr. Kerry complained to the Chinese ambassador to Washington, Cui Tiankai, that the American ambassador at the time, Max Baucus, had also been prevented from traveling to one. President Bush’s recent death and memorial service sparked memories by PDAA members about their interactions with the former diplomat, intelligence chief, vice president, and president. To see some of those recollections, click here. 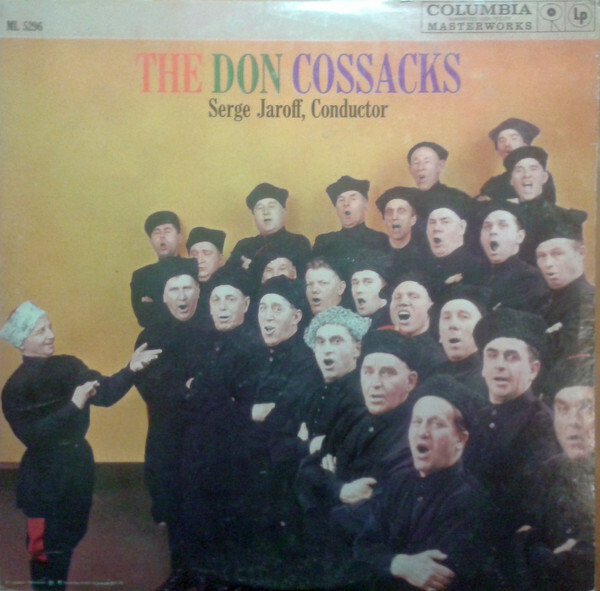 For many years, the great chorus of Don Cossacks led by Peter Khudyakov gives a concert in the Russian house in Berlin on the bright holiday of the Nativity of Christ. Professional opera singers will perform Orthodox chants in the Russian singing tradition. In the most quiet pianissimo and to the most powerful forte you can enjoy both the skill of the Cossacks, and their Slavic soul is heard. Ancient chorals, as usual, are sung a cappella. A wide range of voices only enhances the mystical depth of these sacred chants. The program of the concert will also include all your favourite songs: Evening Ringing, Kalinka, Troika, Black Eyes, Volga Volga, etc. This is an advance preview from New Perspectives on China’s Relations with the World: National, Transnational and International (forthcoming 2019). Since Joshua Kurlantzick (2007, 6) coined the term ‘charm offensive’ in 2007, the term has stuck in the study of International Relations to refer to China’s use of soft power to improve its global status and image. While the idea of China charming the world with its economic and cultural prowess has not changed too much over the past decade, the ways Beijing has adopted to charm other states have diversified since. In conjunction with such developments, in recent years, the term ‘public diplomacy’ has come to replace charm offensive as China’s latest efforts to improve its status and image through soft means. Noting China’s recent turn towards public diplomacy, this chapter seeks to address the topic in three sections. Part one examines the idea of public diplomacy and corresponding developments that took place in China since former President Hu Jintao’s emphasis on the concept in 2009. Part two looks into the idea of ‘telling a good story of China’ – an important guiding principle of China’s public diplomacy – and corresponding efforts Beijing has made towards it. Part three discusses the Confucius Institute and China Cultural Centres and their contributions towards the goals of ‘telling a good story’ and fostering people-to-people relations. This chapter concludes with some considerations on the challenges China may face in its public diplomacy endeavour. Despite abundant discussions on ‘public diplomacy’ in the West, the concept remains quite refreshing in the context of China. In 2009, speaking on the occasion of the 11thConference of Chinese Diplomatic Envoys Stationed Abroad, Chinese President Hu Jintao expounded on the importance of public diplomacy in Chinese foreign policy. In Hu’s words, ‘[China] should strengthen public diplomacy and humanities diplomacy and commence various kinds of cultural exchange activities in order to disseminate China’s great culture’ (The 11th Conference of Chinese Diplomatic Envoys Stationed Abroad was held in Beijing, 2009). Hu’s address was significant, as the statement marked the first time China has considered the concept of public diplomacy on the level of national policy. Since then, public diplomacy gradually developed into a notable priority in the succeeding Xi Jinping administration. In the party report of the 18th National Congress of the CCP that was released in 2012 alongside the confirmation of Xi Jinping as China’s next president, Beijing clearly expressed the guideline of ‘making good efforts to advance public diplomacy’ (Xinhua 2012). 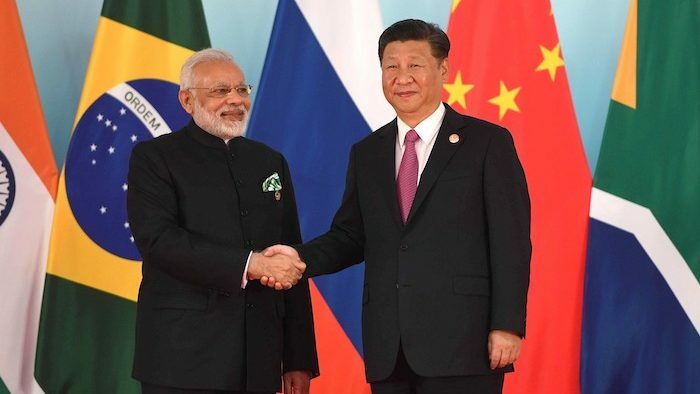 In 2013, Xi Jinping followed up preceding calls for realising public diplomacy by introducing the corresponding concept of ‘telling a good story of China and disseminating the voice of China.’ ‘Telling a good story of China’ quickly became the central tenet of China’s public diplomacy. Under the state emphasis on public diplomacy, various public, private and academic institutions and organisations were established to carry out the function of reshaping China’s global image. In terms of government, the Public Diplomacy Office was established in 2009 as the main official body for managing and coordinating tasks related to public diplomacy on the state and departmental levels. In the private sector, echoing Beijing’s call for public diplomacy, a number of public diplomacy associations were subsequently established. In December 2012, the China Public Diplomacy Association was established in Beijing. The association serves as an informal channel for China to communicate with the world; the participation of academics and retired officials gives functions hosted by the association a track two or semi-official nature. On the regional level, 15 regional public diplomacy associations have been established across the nation in metropolitan centres such as Shanghai, Tianjin, Nanjing and Guangzhou (Han 2014). Academically, at least eight higher education and research institutes that focus on the study of public diplomacy were established across the country, including the Centre for Public Diplomacy at Tsinghua University (2011) and the School of International and Public Affairs at Jilin University (2013) among others. Institutional establishment aside, it is important to recognise that public diplomacy did not grow out of a vacuum in China but came about following a series of adjustments in Chinese foreign policy to cope with the so called ‘China threat theory’. In an essay in a 2005 issue of the influential Foreign Affairs magazine, Vice President of China’s Central Party School Zheng Bijian articulated in simple terms that China seeks a ‘peaceful rise’ and not otherwise (Zheng 2005, 20). Nonetheless, despite China’s peaceful intentions, as the term ‘rise’ also suggests the possibility of a powerful China becoming more assertive in international affairs, the term was eventually replaced with ‘development’ to suggest a less negative connotation. In the context of peaceful development, the Hu Jintao administration subsequently introduced the concept of ‘harmonious worldview’ and re-emphasised China’s good neighbour policy (Tsai et al. 2011, 27–30). China’s peaceful development, in other words, is realised through its emphasis on harmony. Public diplomacy as China’s new foreign policy emphasis came about in a similar vein. Following leadership turnover in 2013, Xi Jinping proposed the ‘China Dream’ as the new guiding concept for China in the near future. In Xi’s words, ‘China Dream is the great rejuvenation of the Chinese nation’ (Central Committee of the Communist Party of China Party Literature Research Office 2013). Unfortunately, Xi’s ideological calling provided little hints as to how China seeks to realise its rejuvenation or re-occupation of the centre stage of the world again. Such a void is perhaps covered by public diplomacy. In other words, in terms of the China Dream, part of how the Chinese nation will be rejuvenated rests with how well China conducts its public diplomacy, or an effort to improve China’s global image. In such a case, similar to related concepts introduced in the Hu Jintao era, the China Dream and public diplomacy are proposed as interconnected and mutually reinforcing concepts. Under Xi Jinping, the China Dream is the grand ideological principle that will guide China’s continued development in the near future while public diplomacy – similar to the ‘good neighbour policy’ – is one of the ways that Xi’s vision will be realised. The guiding principle for China’s public diplomacy drive is ‘telling a good story of China’ (讲好中国故事 jianghao zhongguo gushi), a guideline that has been repeated publicly by current Chinese President Xi Jinping since the 18th National Congress of the Chinese Communist Party (CCP). Noting the tendency of Chinese leaders since Jiang Zemin to pronounce their policy ambitions in short captivating phrases, ‘telling a good story of China’ is one of the latest notable phrases to follow in the string of announcements from the Three Represents to ‘scientific outlook on development’. While ‘telling a good story of China’ has attracted global attention in recent years; interestingly, the concept is not entirely new. In 2010, John Naisbitt – a renowned futurist who was well known for his earlier writings on Asia’s newly developed economies – together with Doris Naisbitt, published China’s Megatrends: The 8 Pillars of a New Society, a volume that detailed China’s rapid political, economic and social changes over the past two decades. The alleged idea for the volume, according to Naisbitt, came about through a conversation with ex-Chinese president Jiang Zemin in the 1990s, when Jiang invited him to tell a story of China (Ma 2009). As Party Secretary Xi Jinping pointed out, the quest of the era is to tell the story of China and the mission of the era is telling a good story of China… first is to tell the development story of China and the ideals that support China’s development… telling a good story of China means telling a good story of oneself and projecting the attraction of China through personal appeal… the story of China is multifaceted; there is success and there is also failure. The key is to tell the Chinese way or approach behind the story (Wang 2016). Wang’s description highlights three components to China’s guideline that warrant attention. First, the story of China is about development, with economic development serving as the mainstay of the story. Second, the story of China is about the individual; individual success stories help to shape and project China’s global image. Third, the story of China is a mixed success story; the Chinese experience or how China succeeded should be part of the story. Realised through public diplomacy, China’s storytelling aspiration – an effort to improve the Chinese image abroad – has notably taken several forms since 2013. In terms of development, not long after the 8/13 speech, Xi Jinping proposed the Belt and Road (B&R) initiative, an ambitious geopolitical project that seeks to integrate Asia, Europe and Africa into an intercontinental market and transport network. Alongside the B&R, the Silk Road Fund (SRF) and the Asia Infrastructure Investment Bank (AIIB) were subsequently established to finance the project. Jointly, the B&R, SRF and AIIB aim to improve trade and transport routes – channels that are facilitated by infrastructural development – around the world. Based on the integration and investment initiatives, Xi Jinping has expounded on the theme of development, most notably at the 2016 G20 Summit in Hangzhou, where he delivered a speech titled ‘A New Starting Point for China’s Development: A New Blueprint for Global Growth’ (Keynote Speech by H.E. Xi Jinping, President of the People’s Republic of China, at the Opening Ceremony of the G20 Summit, 2016) and at the 2017 Belt and Road Summit in Beijing, where Xi referred to China’s historical connection with the Silk Road and elaborated on themes including economic, infrastructure, innovation and green development (Full text of President Xi’s speech at opening of Belt and Road Forum, 2017). In addition, the Chinese government has invested great efforts in promoting the B&R through various methods, which includes the publication of the B&R Public Diplomacy Report (2016), the production of a major documentary series on the B&R (2016), and the release of a project theme song just ahead of the B&R Summit (2017). On the other hand, regarding individuals, examples may be gleaned from the variety of ways through which China and the Chinese are presented. Concerning the B&R, such presentation can be observed from the frequent reference by the state to Zhang Qian and Zheng He, historical figures in China’s ancient past who are regarded as the trailblazers for what came to be known as the Silk Road and China’s maritime trade route respectively. Emphasis on the individual can also be observed from the B&R documentary series produced by China Central Television (CCTV), China’s official broadcasting service. Besides interviews with influential figures and experts, the documentary is interwoven with the personal stories of some 60 common individuals who dwell along the B&R (CCTV 2016). Finally, China is represented by its political and business elites, or individuals who receive media attention internationally. Such an approach is exemplified by the so-called ‘head of state diplomacy’ that sees Chinese leaders promoting China’s national image abroad. Since assuming the role of China’s top leader in 2013, Xi Jinping has made official visits to more than a dozen states annually, consolidating China’s foreign relations while gathering international spotlight on China through wide media coverage and reporting. Although public diplomacy did not begin to take the form of official policy until 2013, the Chinese leadership had similar ideas in mind nearly a decade earlier. Under the Hu Jintao administration, the Confucius Institute, a state sponsored institution with the objective of teaching and promoting the learning of the Chinese language abroad, was established under Confucius Institute Headquarters, also known as the Hanban, in 2004. The Hanban is responsible for overseeing the operation of the global network of Confucius Institutes across the world. Amidst incessant discussions on China rising onto the world stage as a revisionist threat, the Confucius Institute was envisioned by Beijing as a way to reduce the anxieties surrounding China while promoting China’s image as a benevolent and peaceful power abroad. Soft power, a term coined by political scientist Joseph Nye (2005), was the keyword associated with the Confucius Institute and China’s adoption of soft means to improve its global image then. Since the establishment of the first Confucius Institute in Korea in 2004, the number of China’s language teaching institution grew rapidly. By the end of 2016, China had established 512 Confucian Institutes and 1073 Confucian Classrooms (programs established in high schools and primary schools) in more than 140 countries around the world (Hanban 2017). While the Confucius Institute is primarily a language teaching institution, it is inevitable that its curriculum and textbooks used in classrooms are infused with lessons and stories on Chinese history and culture. In such a sense, the Confucius Institute fits well with the guideline of ‘telling a good story of China’ and the objectives of China’s public diplomacy. Meanwhile, through the organisation of cultural celebration events and language competitions, the Confucius Institute also enhances people-to-people relations through the direct interaction between foreign and Chinese participants and organisers. The annual ‘Chinese Bridge’ Chinese Proficiency Competition is a good example of the Confucius Institute’s public diplomacy achievement. Through the organisation of language competitions across the world, China has not only provided a motivation for foreign students to study Chinese but also sparked the interest of students to visit China (Hui and Wang 2015, 301). Such efforts are expended in the hopes of fostering a future generation of individuals with an improved image of China. On the other hand, China has also established cultural centres across the world as a way to promote Chinese culture beyond classrooms. Since the first establishment of China Cultural Centres in Benin and Mauritius in 1988, more than 20 cultural centres have been established in Asia, Africa, Europe, Oceania and Central America, with most of the additional locations introduced after 2000. China currently hosts 27 international cultural centres, with a large number of the centres spread out across Asia and Europe. As described in its online introduction, the China Cultural Centre organises cultural activities such as performances, exhibitions and art festivals and provides Chinese language and cultural training courses (China Cultural Centre 2015). In terms of public diplomacy, the China Cultural Centre plays no small role in disseminating knowledge on China through the constant organisation of musical performances and art and calligraphy exhibitions and events among others. Meanwhile, in 2012, China’s Ministry of Culture introduced ‘Happy Chinese New Year’ (HCNY) (欢乐中国 huanle zhongguo), a series of cultural festivities centred on the theme of Chinese New Year. Adopting the central tenet of ‘happiness, harmony, dialogue and sharing’, the HCNY celebrations seek to tell a story of China that is robust and cherishes communal values, which stands in stark contrast with arguments that deem China as a colossal threat (China Cultural Centre 2017). This chapter provides a short survey of the development of China’s public diplomacy in recent years and some efforts Beijing has expended towards the improvement of its global image. While it is much too early to evaluate the success of China’s new charm offensive, previous experiments with soft power by Beijing present several challenges that China may need to address if it hopes to find success with public diplomacy. First, while China provides a definition of ‘public diplomacy’ in its official public diplomacy report, to some extent, the definition remains excessively general and difficult to translate into real policies. While an optimistic reading of China’s definition suggests the inclusion of ‘governments, non-governmental organizations and individuals’ is a non-discriminatory act that seeks to exploit the full strength of the nation in realising public diplomacy, an alternative reading raises the question of whether there exists a one size fits all policy guideline for all the actors. After all, diplomacy is traditionally limited to the realm of the state; to move diplomacy outside the state may require policymakers to think outside the box, as private and non-governmental actors may harbour widely different interpretations of the state and its various features. In other words, China is viewed differently across different levels and sectors and narratives may contradict – the success story of one may have nothing to recommend for another. Such challenge warrants attention if China seeks to claim further success with public diplomacy. Second, the fact that China remains an authoritative regime generates contradictions with the concept of public diplomacy that are hard to resolve. Even though public diplomacy can be considered an interest driven action regardless of regime type, China’s authoritative character exacerbates the issue by hinting at the potential involvement of sophisticated consequences. For example, by enshrining the guideline of ‘telling a good story of China and disseminating the voice of China’ as propaganda, China proposes a dilemma between the nature of the Chinese regime and public diplomacy. If public diplomacy is guided by the principle of disseminating propaganda, how credible are China’s foreign policy communications and actions? Indeed, such tensions have been raised in the past concerning the Confucius Institute. As critics point out, under its disguise to pass on knowledge of Chinese language and culture to the outside world, the Confucius Institute also encourages students to think highly of China and its ruling political authority (Peterson 2017). While such claims remain controversial and rebuffed by China, backlashes have occurred, with institutions such as the University of Chicago and Pennsylvania State University terminating their cooperation with the Confucius Institute and many other institutions around the world becoming more vigilant over China’s public diplomacy (Liu 2017). As the case of the Confucius Institute demonstrates, trust remains a crucial ingredient for the success of China’s language teaching institutes abroad and ultimately, China’s public diplomacy. How Beijing seeks to increase the world’s trust in China in the near future remains to be observed. Central Committee of the Communist Party of China Party Literature Research Office. 2013. Xijinping guanyu shixian zhonghua minzu weida fuxing de zhongguomeng lunshu zhaibian (Summary of Xi Jinping’s Discourse on Realizing the China Dream and the Great Rejuvenation of the Chinese Nation). Beijing: CCCPC Party Literature Research Office. “Di shiyi ci zhuwaishijie huiyi zaijin zhaokai” (The 11th Conference of Chinese Diplomatic Envoys Stationed Abroad was held in Beijing). 2009. People’s Daily, July 21. Hui, C. and Wang, B. 2015. “Dunzi yiwenhuiyou yiyoufuren – kongzi xueyuan shizhounian fazhan jieshao” (Ten Years Development of the Confucius Institute: An Introduction), in Zhao Qizheng and Lei Weizhen eds., Bluebook of Public Diplomacy: Annual Report on China’s Public Diplomacy Development. Hong Kong: Peace Book, 293-301. Kurlantzick, J. 2007. Charm Offensive: How China’s Soft Power is Transforming the World. New Haven and London: Yale University Press. Liu, T. 2017. “Exporting Culture: the Confucius Institute and China’s Smart Power Strategy,” in David O’Brien, Toby Miller and Victoria Durrer eds., The Routledge Handbook of Global Culture Policy. New York: Routledge. Tsai, T., Hung, M. and Liu, T. 2011. “China’s Foreign Policy in Southeast Asia: Harmonious Worldview and Its Impact on Good Neighbor Diplomacy.” Journal of Contemporary Eastern Asia 10 (1), 27–30. Zhao, Q. and Lei, W. eds. 2015. Bluebook of Public Diplomacy: Annual Report on China’s Public Diplomacy Development. Hong Kong: Peace Book. Zheng, B. 2005. “China’s ‘Peaceful Rise’ to Great-Power Status.” Foreign Affairs, 84 (5), 18–24. A Princeton PhD, was a U.S. diplomat for over 20 years, mostly in Central/Eastern Europe, and was promoted to the Senior Foreign Service in 1997. After leaving the State Department in 2003 to express strong reservations about the planned U.S. invasion of Iraq, he shared ideas with Georgetown University students on the tension between propaganda and public diplomacy. He has given talks on "E Pluribus Unum? What Keeps the United States United" to participants in the "Open World" program. Among Brown’s many articles is his latest piece, “Janus-Faced Public Diplomacy: Creel and Lippmann During the Great War,” now online. He is the compiler (with S. Grant) of The Russian Empire and the USSR: A Guide to Manuscripts and Archival Materials in the United States (also online). In the past century, he served as an editor/translator of a joint U.S.-Soviet publication of archival materials, The United States and Russia: The Beginning of Relations,1765-1815. His approach to "scholarly" aspirations is poetically summarized by Goethe: "Gray, my friend, is every theory, but green is the tree of life." Who's afraid of a free Israeli press? A One-Time Opportunity for Israel in the Golan? Finish of America’s honeymoon with MBS?